Looking to translate your WordPress website? Lucky for you, Bablic’s here. 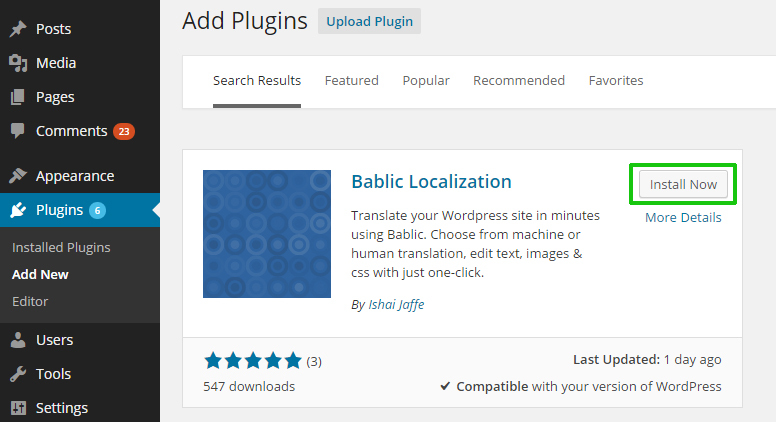 The latest version of the Bablic WordPress plugin is finally out, and it proves to be the easiest way to translate a WordPress website (aka the most effective way of achieving complete WordPress localization). Unlike other WordPress translation plugins, Bablic does not require you to waste time on creating new pages, menus and so on when trying to turn your site into a multilingual WordPress one. Bablic’s localization plugin handles all of that for you, and it’s available for free. Bablic is an exceptional localization solution. Simply enter your website’s URL on our homepage and choose from machine or professional human translation in order to get started. You can then manually edit any of the elements you see simply by right-clicking on them through our user-friendly editor. That includes text, images and even CSS, all with just one-click. Once you’re happy with the results (which you see in real-time) simply click Save & Publish and voilà, your WordPress site is completely localized. Follow the step-by-step Bablic/Wordpress integration tutorial below and achieve complete WordPress localization within minutes. Yes, minutes. Start by clicking on “Plugins” and then “Add New” from your Wordpress admin panel as pictured below. Continue by searching for “Bablic Localization” in the search field, as seen in the screenshot below. Click on “Install Now” as seen below. Now that you’ve downloaded and installed the plugin, it’s finally time to activate it. Click on “Activate Plugin” – just like you see in the screenshot right below. It’s now time to play with the Bablic WordPress Localization plugin settings. 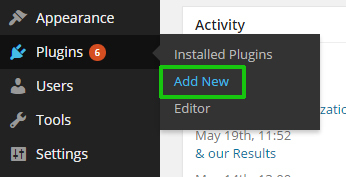 Let’s head back to the Plugins section in your WordPress dashboard and find the Bablic plugin, then click on “Settings” – exactly as you see below in the detailed image. Finally, the last step is to just click “Start Now“. You’ll now be in the Bablic Localization editor which will allow you to choose from machine or professional human translation, add more languages, manually edit elements (text, images, CSS) just by right-clicking on them and more features. If you need any help translating WordPress using Bablic simply email [email protected] – we’re here to help. Keep in mind, you can also start translating your WordPress site simply by entering your URL right on Bablic.com and then install the plugin once you’re satisfied with your results. Maybe I’m espacially daft, but the plugin doesn’t actually integrate the translation, does it? From what I can see I still have to put the snippet somewhere… So, where do I put it? Or more precisely: where do I find the tags?